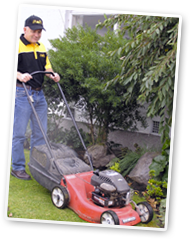 For customers in Christchurch, Busy Bees offers lawn and garden care services. Busy Bees Lawn & Garden Care handle regular lawn mowing, but we also prune roses, trim hedges and tidy the garden — and we take the rubbish with us when we leave. We also offer spraying, landscaping and any other lawn and garden chores that you require. In Canterbury, our Busy Bee operator can even maintain your large lawns or lifestyle property with a ride-on mower. For those with busy schedules and limited free time, Busy Bees operators offer a reliable, and cost-effective way to keep your lawn and garden tidy and in order, so that you can spend your weekends with family and friends. Our professional services also save you the cost and hassle of purchasing and maintaining lawn mowers, trimmers and a shed full of garden tools. And with Busy Bees professional staff and professional equipment, you don’t have to worry about keeping cans of petrol around or sharpening mower blades. Moving out or moving in – consider the option of using Busy Bees to bring your gardens and lawns to life. Enjoy Your Weekends, Let Busy Bees Handle the Garden.- call Busy Bees today for a quote for your lawn and garden care.